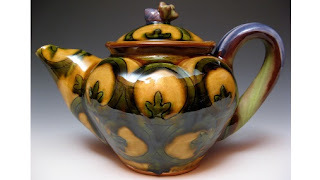 The winter class session at the PEI Potters Studio will begin the week of April 6th, 2019. Registration is online and first come first serve. It will open on Monday, March 25, 2019 at 9 am. The link to the registration form will be posted on this site. For information contact Barb at bajmacdonald@gmail.com. 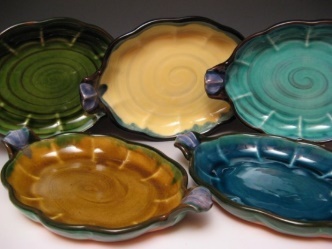 Classes are taught by professional Island potters and are designed to be fun as well as educational. Classes are small in size (maximum of 8), relaxed and informal in style. 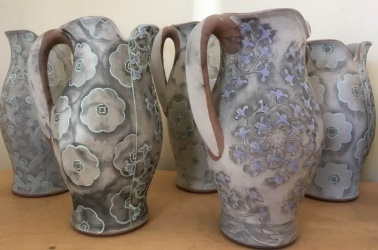 The class (choose Monday, Tuesday or Thursday evening) is at the beginner level and covers the basics of clay preparation, wheel-throwing techniques, and glazing and decoration. Hand-building techniques can also be explored depending on interest. A great way to relieve stress and enhance creativity while learning a new skill! Participants will get a thorough introduction to the art of pottery making and have fun while creating their own pieces from start to finish. Registration fee is $225 for ten weeks (includes a 20 lb block of clay). Payment is accepted by E-transfer, cheque or cash. A class for children aged 9-14 will be held on Saturday mornings (and afternoons if there are enough students register). 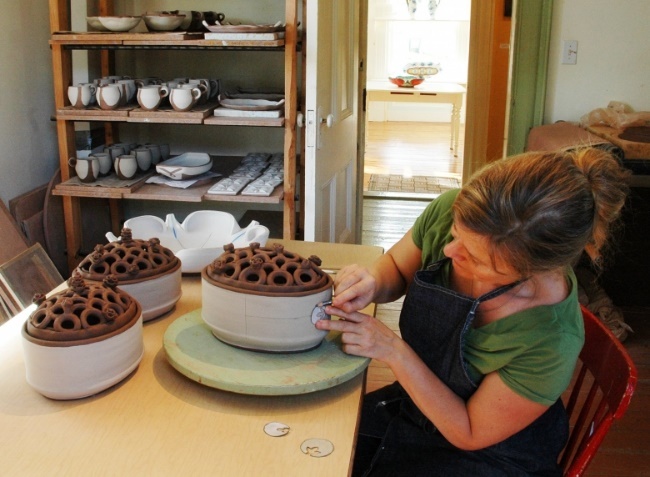 While creative exploration with clay is stressed, students will learn the basics of clay preparation, a variety of hand-building techniques, glazing and decorating and an introduction to wheel throwing. The class is taught by an experienced potter and is designed to be fun as well as educational. The class is small in size (maximum of 8) and relaxed and informal in style. Students will get a thorough introduction to the art of pottery making and have fun while creating their own pieces from start to finish. Registration fee is $175 (including clay). Payment is accepted by E-transfer, cheque or cash. 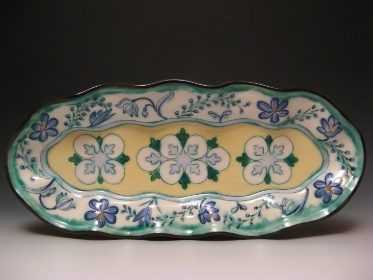 Joan Bruneau is a professional Studio Potter and sole proprietor of Nova Terra Cotta Pottery in Lunenburg, Nova Scotia, Canada. Joan was born in 1963 in Halifax, Nova Scotia. 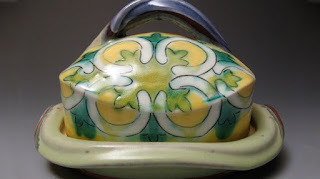 Her love of travel and food sparked her desire to become a potter, after discovering the authentic cuisines and pottery traditions of Europe while back-packing in 1983-84. She went on to earn her BFA from NSCAD University in 1988, and MFA from the University of Minnesota in 1993. 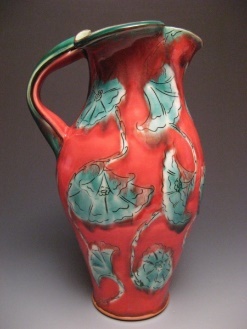 Joan established Nova Terra Cotta, her studio/strorefront in Lunenburg, Nova Scotia in 1995. Joan was Assistant Professor at Emily Carr University ( Vancouver, BC) from 1998-2002 and has been Regular Part-Time Ceramics Faculty at NSCAD University since 1995. 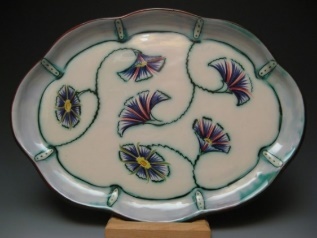 Her work is exhibited throughout North America and is in recognized private and public collections, including the AGNS, Canada, Sykes Gallery, USA and Jingdezhen Ceramics Institute, China. 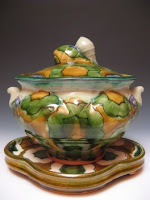 Joan was the 2009 recipient of the Established Artist Recognition Award from the Nova Scotia Arts and Culture Partnership and the 2005 recipient of the Winifred Shantz Award which funded her residency at La Meridiana Ceramics Residency in Italy in 2005. She teaches workshops across North America and has taught in the Distance Ceramics Diploma Programs at the Australia National University and the Glasgow School of Art. Joan is a Demonstrating Artist at NCECA in Pittsburgh, 2018. For more information, email workshops@peipottersstudio.com . Registration for the adult classes beginning in January 2019 is now full. There are still spaces available for the children's class(es) beginning on January 12. The next session will begin in April and registration will open in March--stay tuned! For more information please contact Barb at bajmacdonald@gmail.com. We have been able to resolve the issue. The link to the registration form is now live. Please see below.